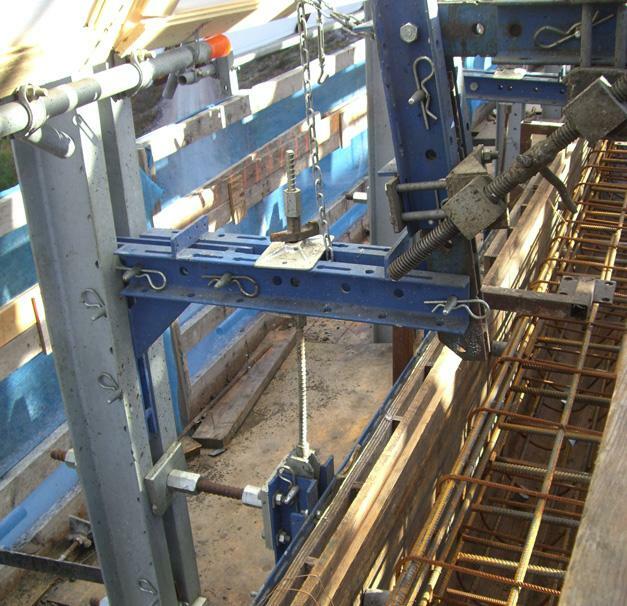 The RC deck slab had a composite cross-section and was cast with the aid of two forming carriages. 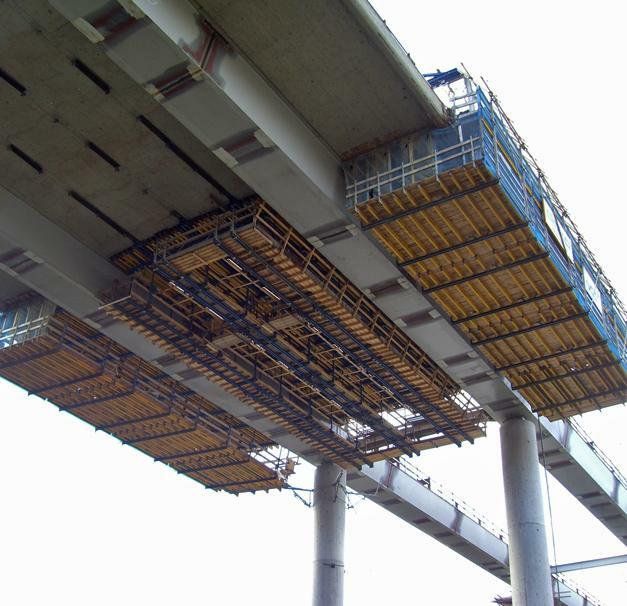 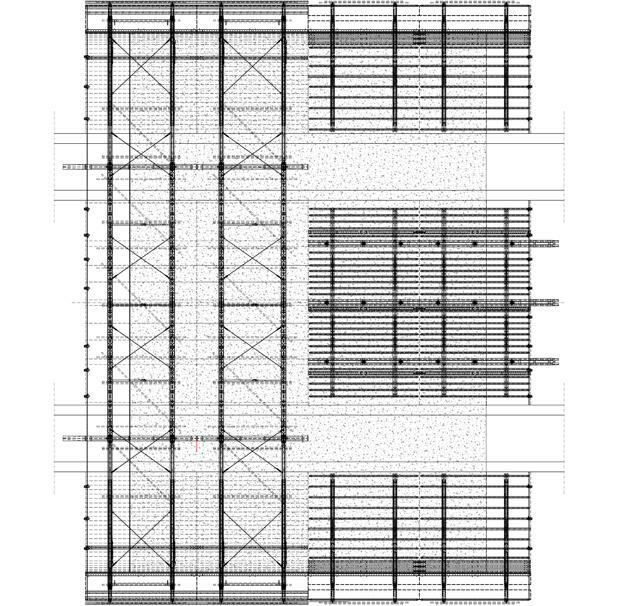 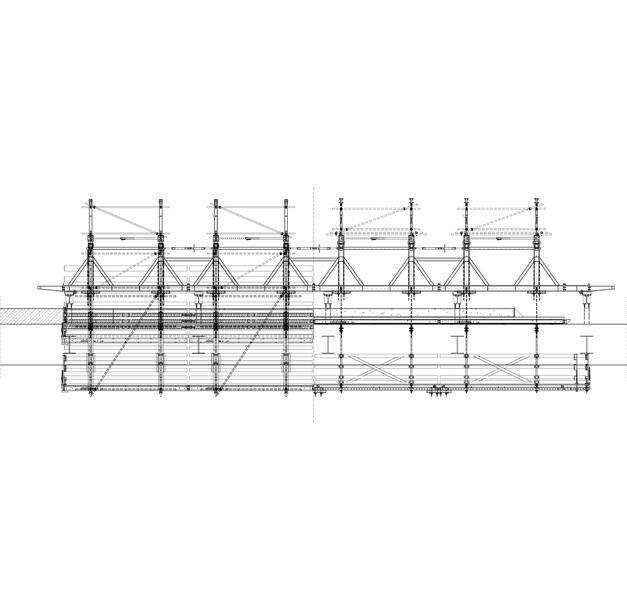 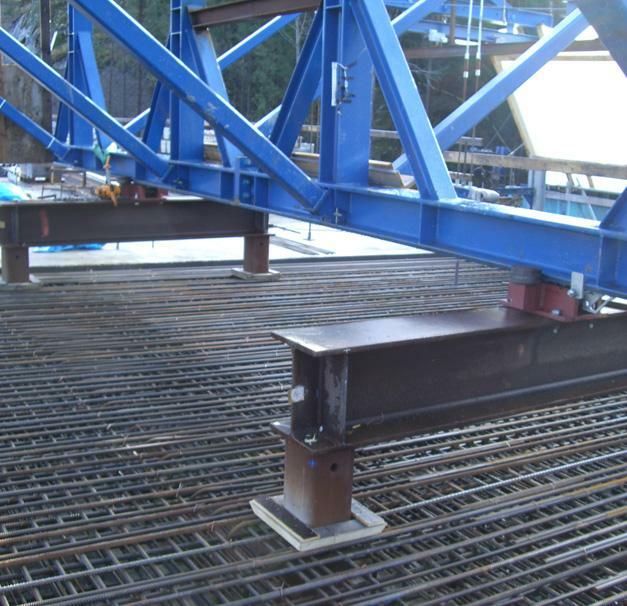 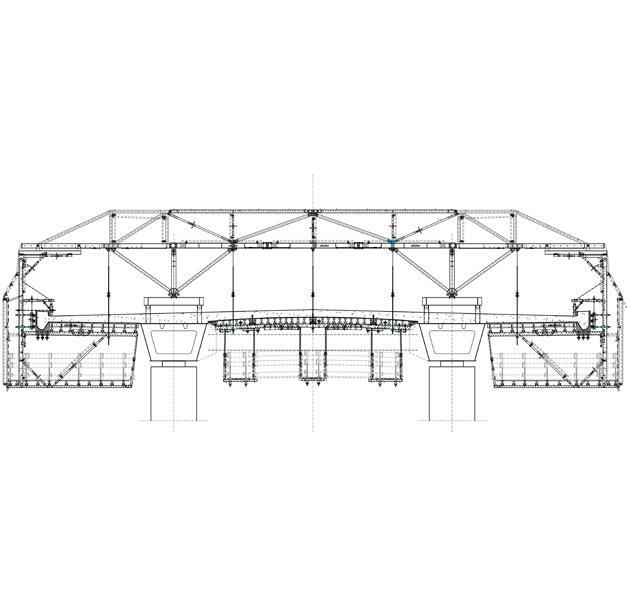 Each 20 m long and 27 m wide carriage was travelled across the steel superstructure via "frame-type roller-trestle bearing supports – with longitudinal connectors", so that the loads occurring during pouring could be evenly distributed in the webs of the troughs. 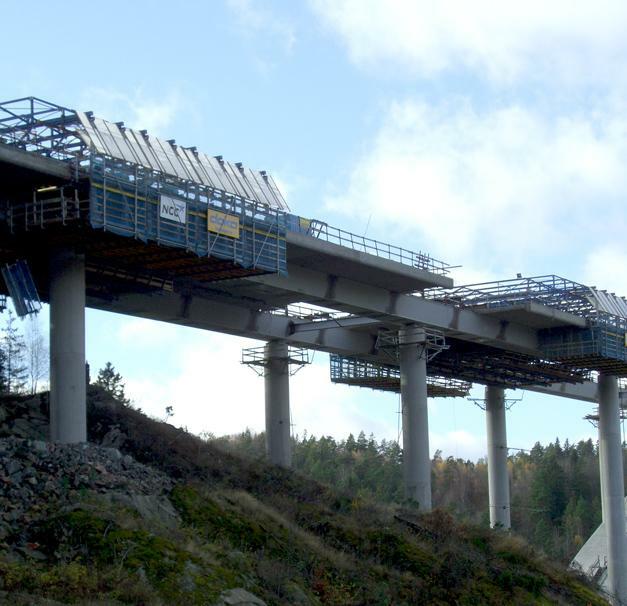 Thank you for your interest - Bridge across Örekilsälven River. 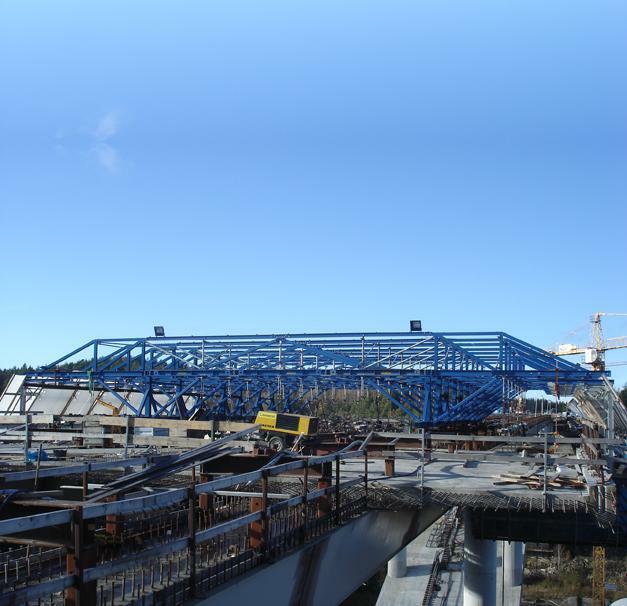 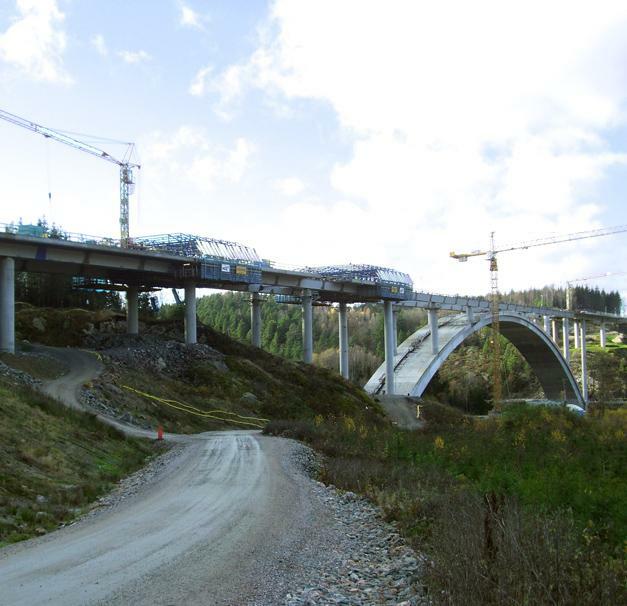 Thank you very much for your interest - Bridge across Örekilsälven River.